Crazia is an Islamic Youth Network project brought to local masajid to invite young girls into the masjid to engage in dynamic discussions around the challenges young people are facing as well as providing a variety of sports activities with opportunities for one to one question and answer sessions. The event helps young girls to develop relationships with the others in a relaxed environment with ample snacks and fresh pizza for lunch! 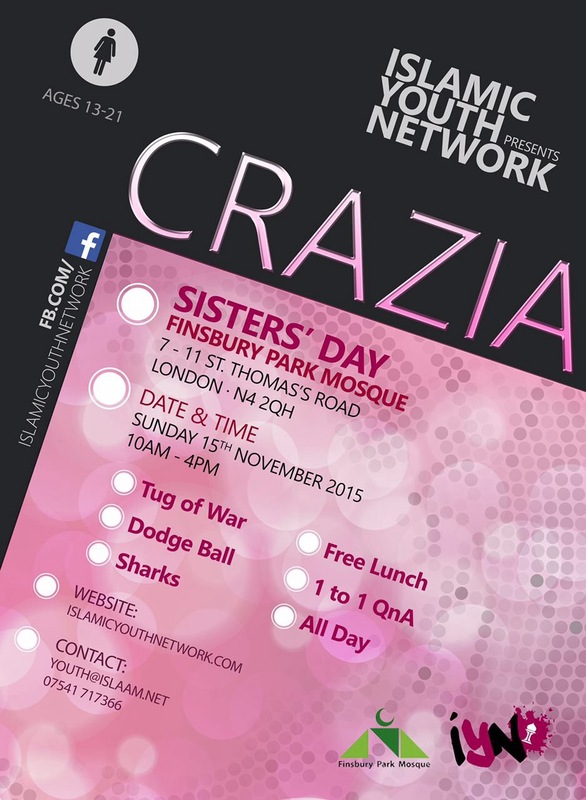 Come along to the Finsbury Park Mosque hosting of Crazia on Sunday 15th November 2015. Look out for the posters and circulate the event on social media!